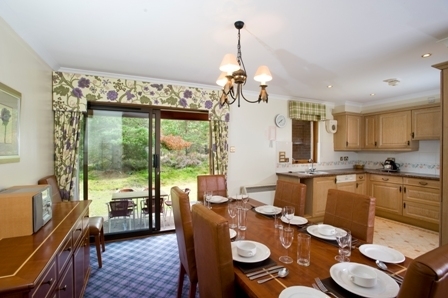 Spacious luxury self catering lodges from Hilton in the Cairngorm National Park. 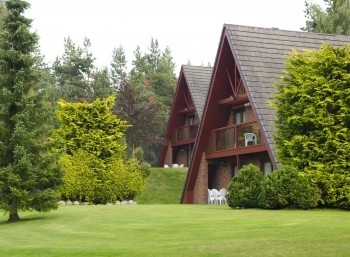 Hilton Coylumbridge Resort in the heart of the Cairngorm Mountains and National Park offers luxury lodges, for up to 6 or 8 persons. 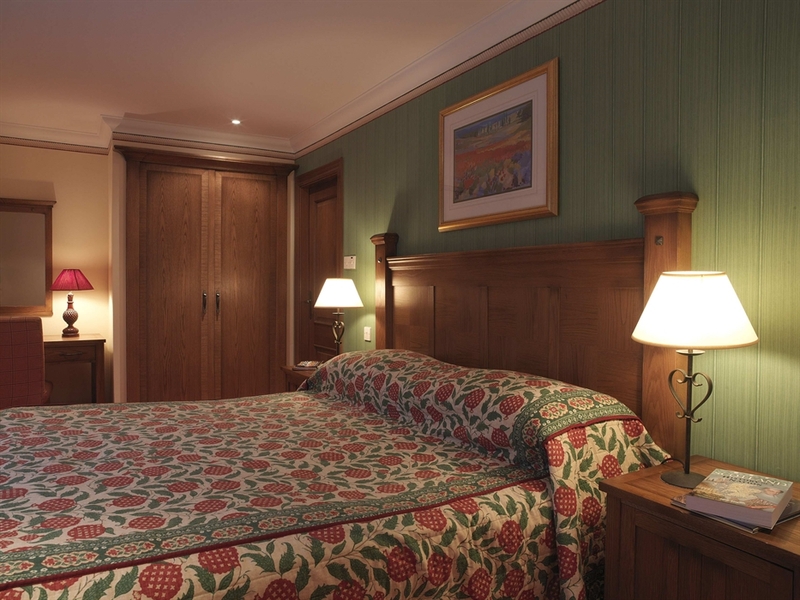 We welcome reservations for 3,4 or 7 night stays. 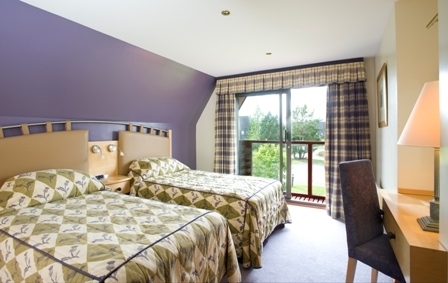 The resort hotel boasts extensive leisure facilities inc, swimming pool, tennis, bars and restaurants, along with a superb children's facility including soft play area, bowling and crazy golf. 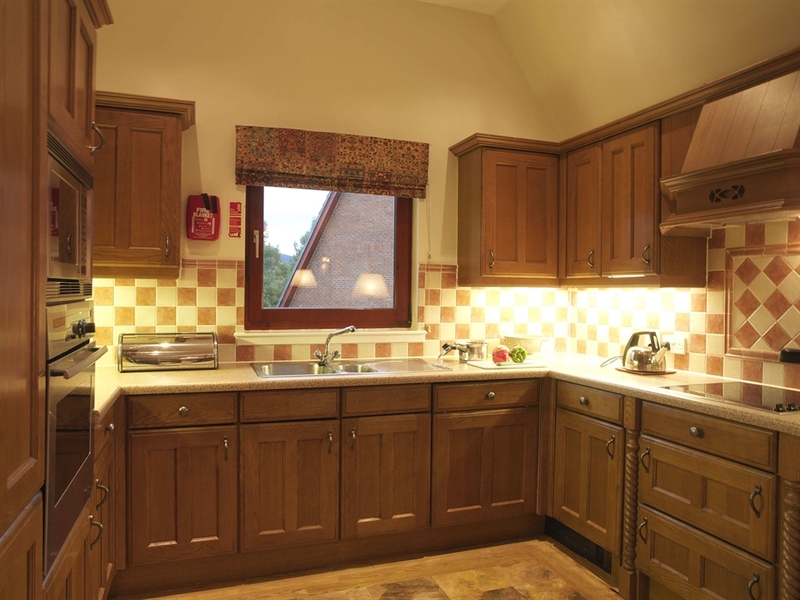 Golf, Horse riding, cycling and walking trails are all nearby. Water sports can be enjoyed on nearby lochs. The Cairngorm funicular railway is popular with visitors. The treasures of the Highlands of Scotland unfold before you at Hilton Coylumbridge, tucked into the foothills of the Cairngorm Mountains. Here you can surround yourself with attractions and activities as diverse as watersports and whisky tasting, or you can indulge in the simple pleasures of relaxing and unwinding. 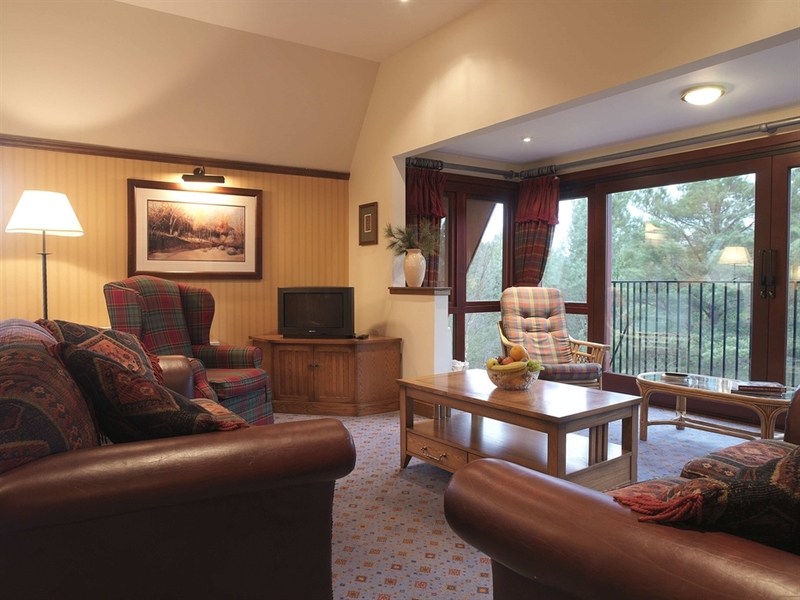 Hilton Coylumbridge is the setting for truly memorable holidays in your own mountain hideaway - your own piece of the Highlands of Scotland. Hilton Coylumbridge is a year-round family resort, with indoor and outdoor activities including The Fun House, a swimming complex with two indoor pools, great restaurants, and nightly live entertainment - there really is something for everyone.